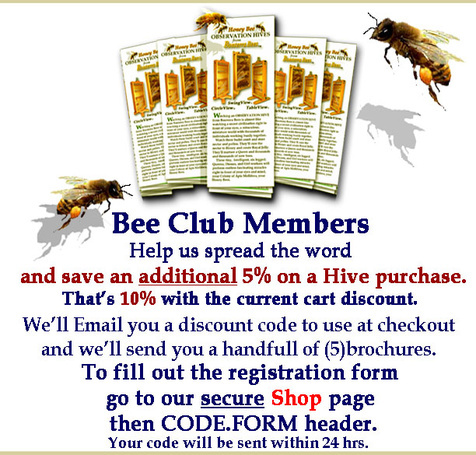 From time to time, we have Observation Hives and Hive Accessory product specials available. Go to our secure Shop page. details will be sent to you via e-mail (or postal mail upon request).